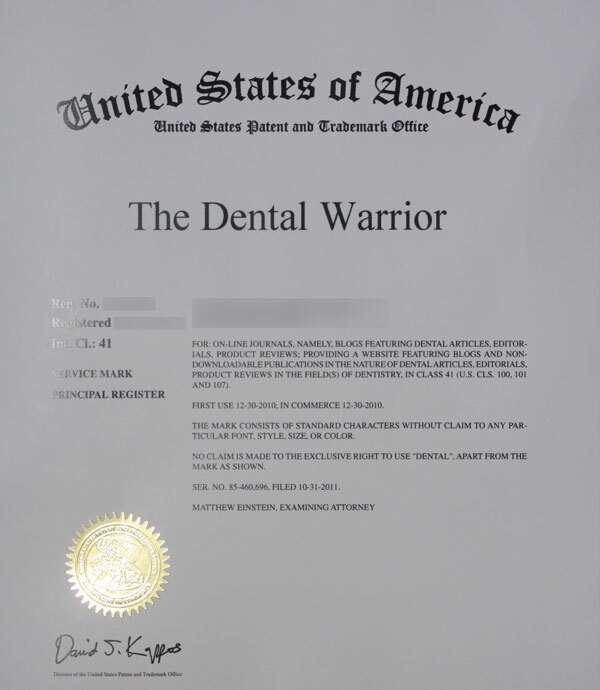 The Dental Warrior Is Now a ®! It took half a year (gotta love government efficiency!) Woo-hoo! If you have a brand name for your practice (or other business), be sure to protect it. This entry was posted in Dental Warrior Announcements, Marketing, What Happened Today and tagged The Dental Warrior ®, trademark. Bookmark the permalink.